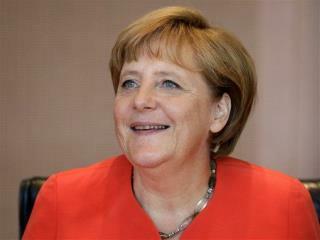 Angela Merkel: The German chancellor is trying to reshape the European Union. Hillary Clinton: The secretary of state might be the most high-profile in US history. Dilma Rousseff: As president of Brazil, she presides over the world's eighth biggest economy, and one that's on the rise, to boot. Melinda Gates: She's co-chair of the Bill & Melinda Gates Foundation, and she vows to improve contraception options for women in the world's poorest countries. Jill Abramson: She became the first female executive editor at the New York Times. This must have been compiled with help of liberal Democrats. It seems if you had listed 200 women that Sarah Palin, Nikki Haley the SC governor, Janet Brewer the Arizona governor or any other conservative or Christian woman in the USA would not have been listed. Another case of only Liberals or progressives in America need be considered for this list. Most of the international women I know nothing about except the Queen who should rank near the top, way above the first lady who lives like she's queen. . But Janet Napolitano and her cohorts selling out our nation to illegals can make the list??? This isn't the America or world in which I grew up. Actually I was thinking that Prime Minister Stephen Harper of Canada should be on that list. I guess Melinda Gates will not be receiving a Christmas card from that idiot Akins in the near future.